No Luck Club mix is sick... need these guys on the show more often. this was the first wefunk show i had listened to and now im hooked, u guys are amazin! The last 30 minutes was amazing! - Please bring the No Luck Club back soon! yo yo. the show was hype, you had to be there to see it all go down. 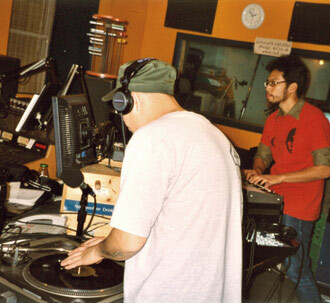 Featuring a live set from Vancouver beat-collage chemists No Luck Club, plus uptempo b-boy percussion and new joints from Slum Village and King Reign feat. Saukrates. DJs & GUESTS DJ Static, Professor Groove, No Luck Club, SunBiz, Think Twice, Catherine, Maroussia / RECORDED September 30, 2005 / HOSTING PJ, Mike, Oliver & daduke. You can help too!